HIGH TRAFFIC CORNER IN CITY OF JEFFERSON , ON BUSINESS HWY 129 NORTH AND CORNER OF STOREY LANE, ZONED COMMERCIAL AND ALL UTILITIES AND SEWER ON PROPERTY. Tons of other Commercial are around and More Development coming to the area. TONS OF ROAD FRONTAGE ON 2 ROADS. 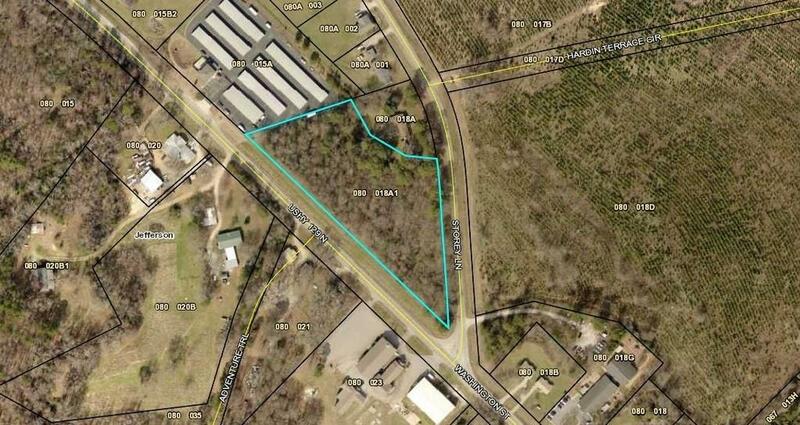 APPROXIMATELY 800 FT ON HWY 129, GREAT LOCATION FOR YOUR BUSINESS OR STRIP MALL.